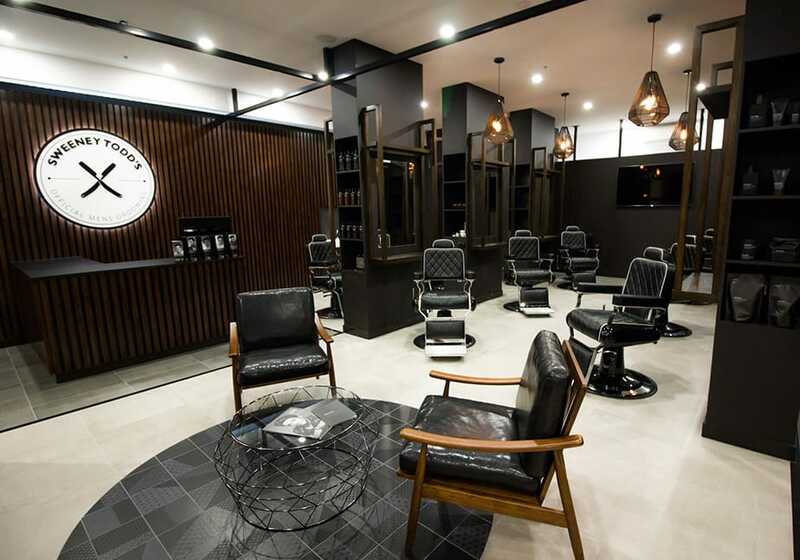 Featuring a dark palette with pops of mustard and cream, Sweeney Todd’s in Brighton, Victoria combines polished timber finishes with sleek, vintage-inspired furnishings for a modern take on a traditional barbershop design. 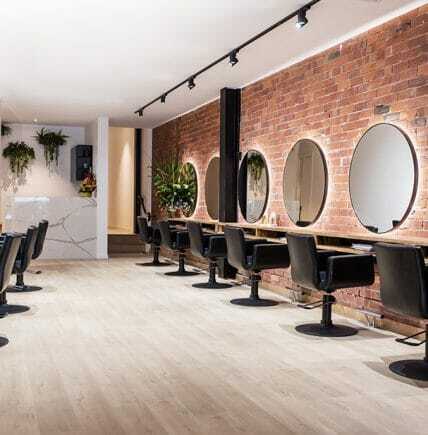 Vertical dark timber is the focal point at reception featuring on the walls and front counter, combined with matte black cabinetry and mid century waiting armchairs. 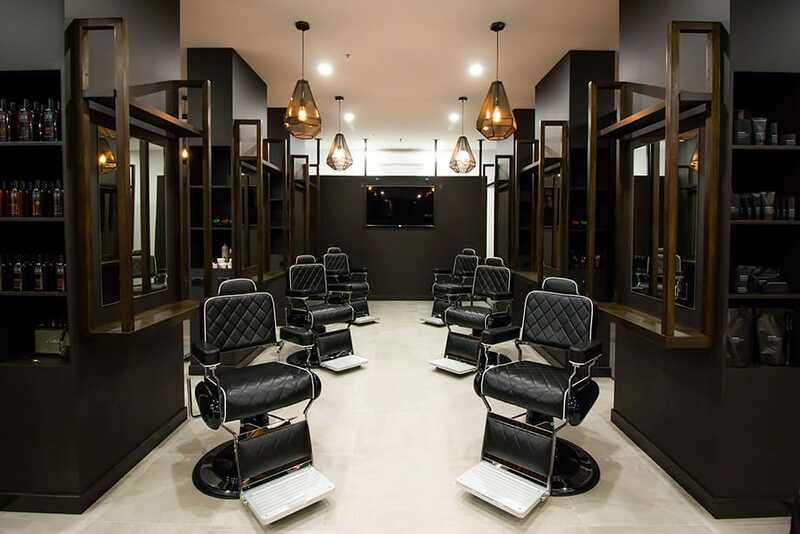 The Styling stations were created with the same dark timber materials to provide working areas for each barber. Feature pendant lights and central tv for clients to watch while waiting, completes the look. 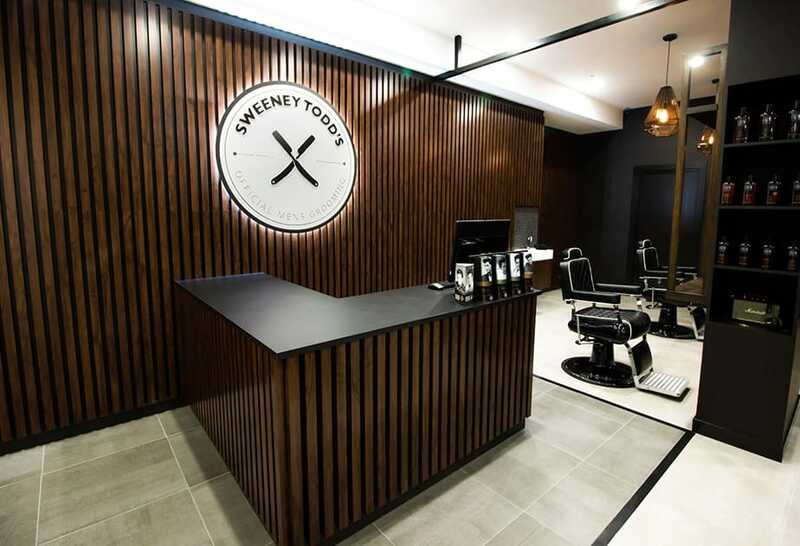 Sweeney Todds chose Comfortel’s Whistler Barbers Chair to complete the look. A plush barbers chair tailored to perfection, the barbers chair features soft, criss cross leather look upholstery with white piping. The traditional styling of these chairs is complemented by the highest grade of durability, colours and finishes, and maximum comfort is guaranteed (nothing is more important). 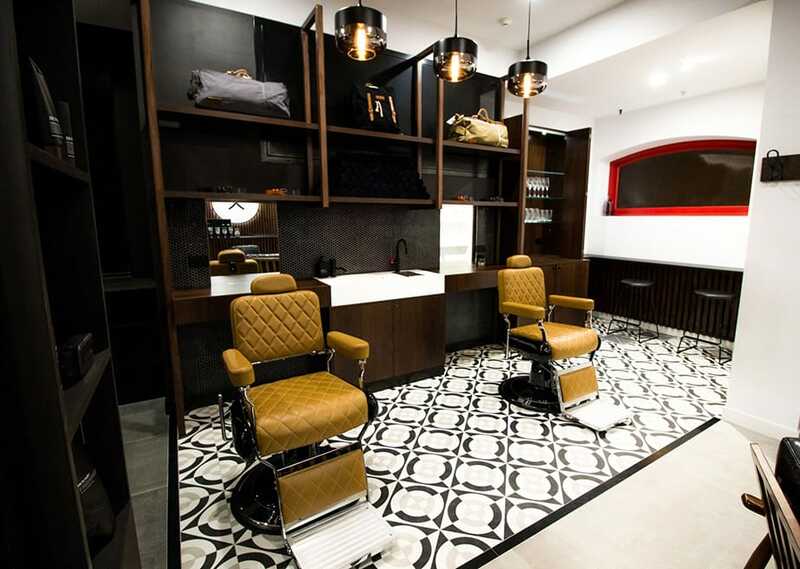 For an accent barbers chair to really make a statement, two Whistler Barbers Chair were transformed as a custom upgrade with a mustard upholstery, surrounded with dark timbers, mesh metals, penny wall tiles and geometric monochrome floor tiles. 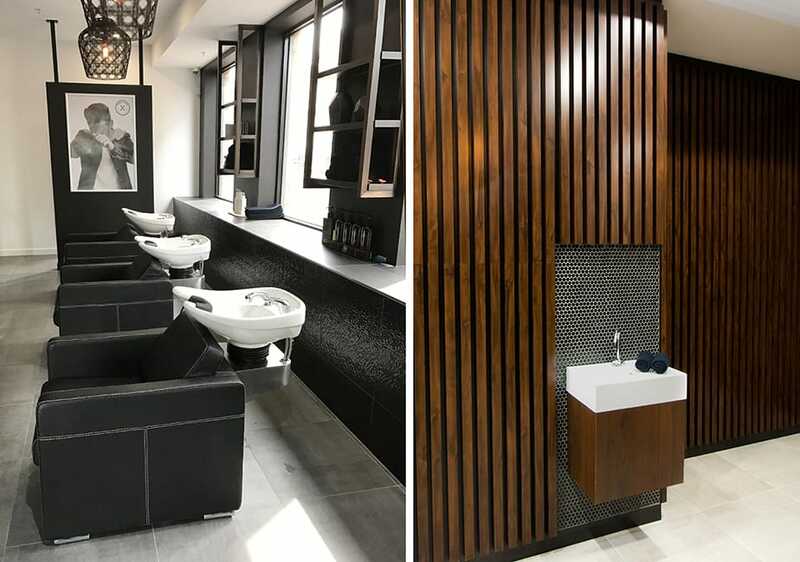 The Stella Hairdressing Basin was added in a dedicated backwash area, where monochrome textures, heavily featuring black brings it to life. Contemporary looking, this compact hairdressing basin with cutaway basin has symmetrical bold angles and strong form that perfectly matches the rest of the barbershop design. 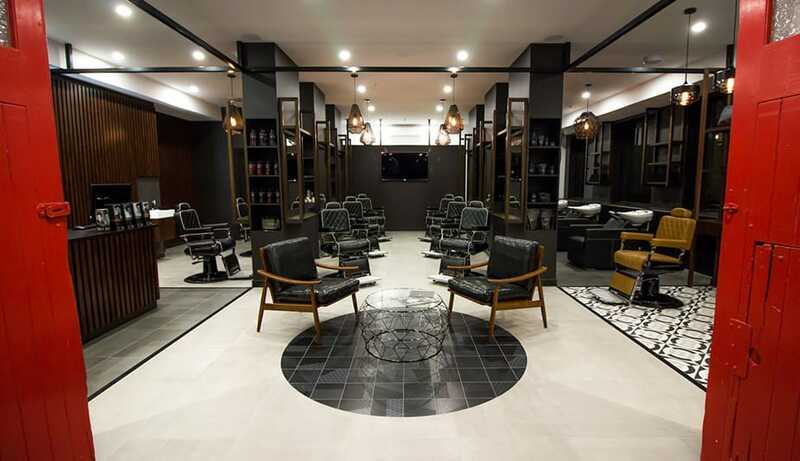 The overall aesthetic is a traditional barbershop with a modern twist using a mixture of materials. 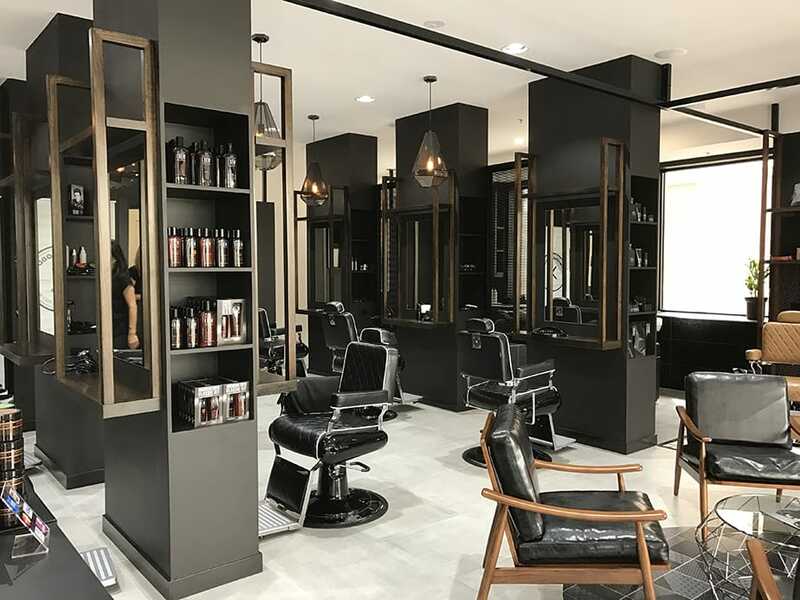 A winning formula in barbershop design, Sweeney Todd’s was placed as a finalist for Best Salon Design in the 2017 Schwarzkopf Professional Hair Expo Awards. Pomp Hair. Are pastels the new neutrals?